Famous people born on DECEMBER 14 are extremely active Sagittarius… even while you are sleeping. They will not rest until the job is done. Whatever their goals are, they are sure to begin work on them. But sometimes, they let too much pile up and don’t get a chance to finish what they start before they are on to the next one. When it’s time to relax, they are likely to be where the fun is. They bring the sunshine and the bubbly. Their friends enjoy their company. Happy hour would not be the same without them. It’s a shame though that with everyone around them seem to get noticed the most. Famous December 14 celebrities are a magnetic force. And some can’t help but to be envious of them and their internal beauty which shines brightly on the outside. Working out and eating right has a lot to do with their glow and attitude. Normally, they don’t take time off due to illness. They take care of themselves and prefer a holistic approach to health care. 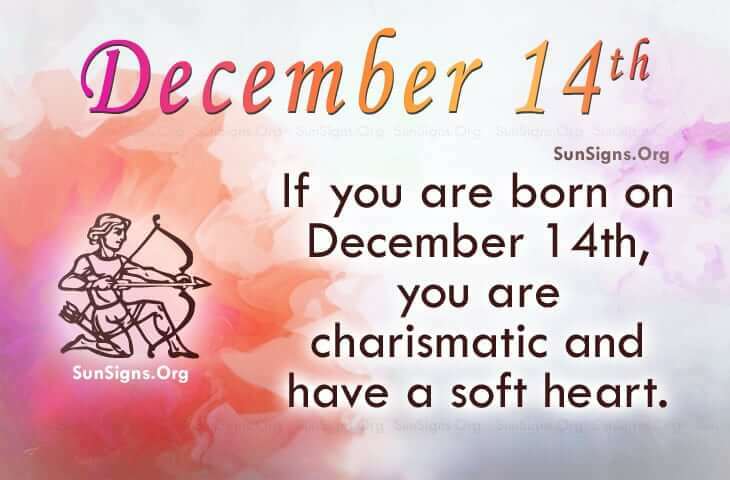 Famous people born on DECEMBER 14th are friendly individuals. They have the ability to be pliable so they may give the impression of being indecisive. This Sagittarius person believes in setting goals but is unpredictable. However, they have a soft heart.